Karam GRIPP FS 02 Safety Shoe Deluxe Workman’s Choice Safety Shoe providing safety with comfort. Distinguished Features. Has smart grey stitching with bonded thread. 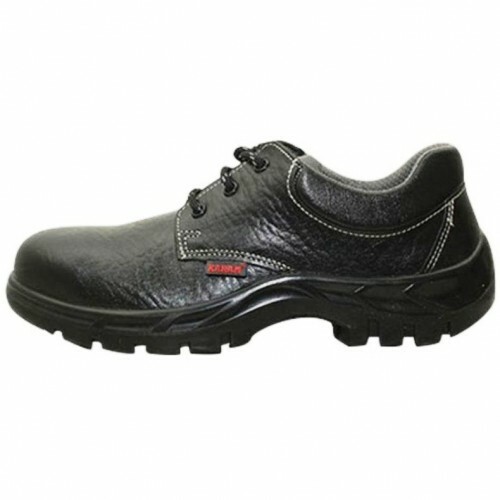 Sole Features: Single density PU sole. Cleated Outsole with wider cleats for higher grip and self cleaning effect. Antistatic, Oil/Acid Resistant, Anti Slip and Heat Resistant with shock absorbing property, Anti Fatigue.